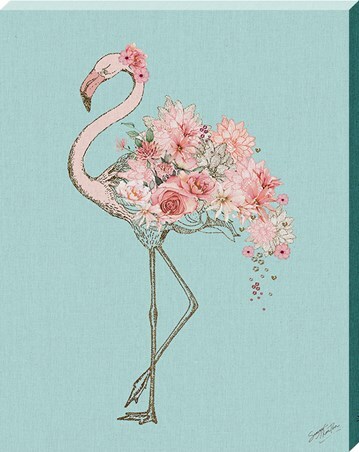 As the sun rises on the Serengeti, these two feathered lovers embrace each other lovingly. 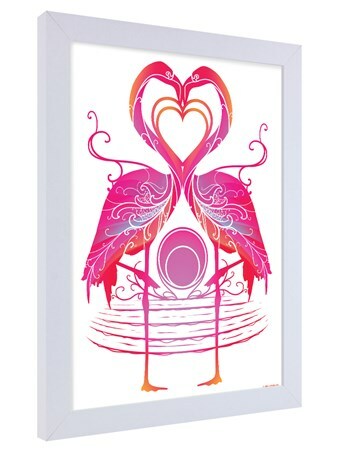 Add this warming scene to your home with this white wooden framed print featuring two pink flamingos, surrounded by colourful swirls and hearts in hues of orange and purple. 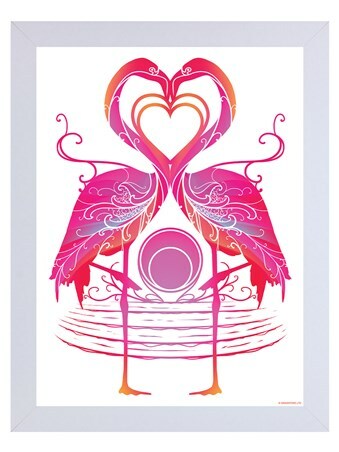 High quality, framed Flamingo Sunrise, Hot Pink Symmetry framed mini poster with a bespoke frame by our custom framing service.